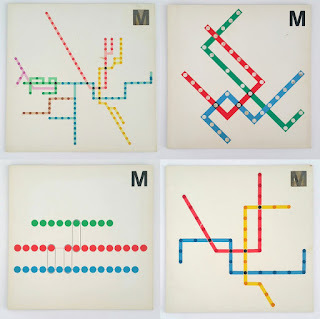 The departed pair of graphic design pioneers Massimo and Lella Vignelli bequeathed their papers—some sixty years-worth of drawings, layouts and logo ideas, to the Rochester Institute of Technology, where a single archivist is discovering and documenting previously unknown treasures with regularity. 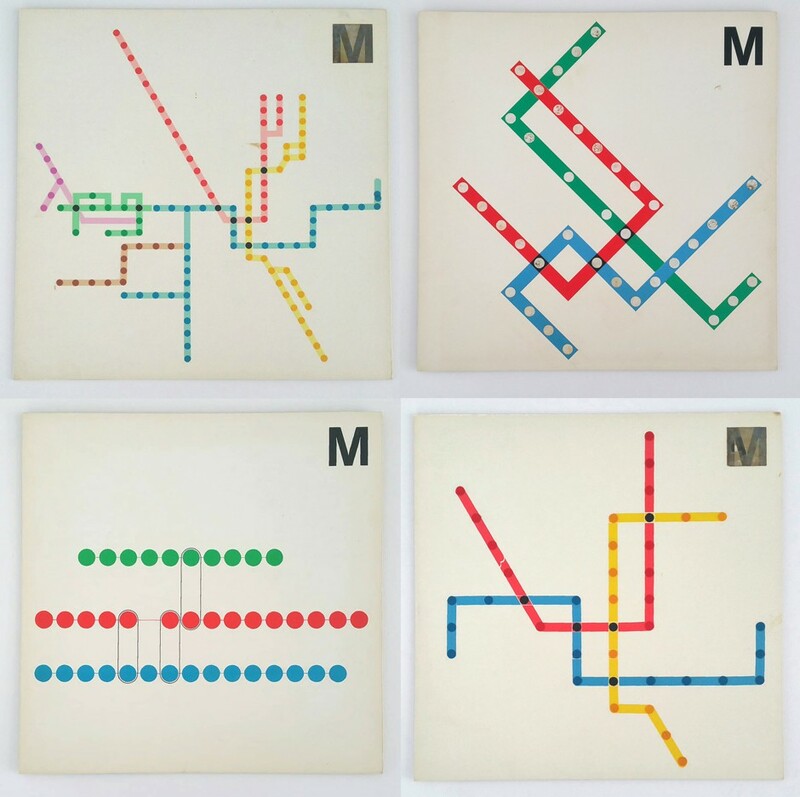 Among the latest striking finds includes these circa 1973 proposals for an abstract diagrammatic map for Washington DC’s Metro system. The authorities ultimately opted for another concept but did incorporate some of Massimo’s ideas. Be sure to visit City Lab at the link up top to learn more about the artists and their legacy and to discover more artefacts.